An event for everyone to enjoy! This is Your Ultimate Cook Islands Cultural Experience and by far the most popular choice! Combine the rich pre-dinner Cultural Village Tour with the Spectacular Over Water Night Show and Buffet Dinner, including return transfers, a glass of bubbles on arrival plus a shell l’ei to take home as a souvenir, this is by far the most popular choice! Learn about Cook Islands history, traditional medicines, ancestral navigational techniques, legends and more while local artisans and craftspeople demonstrate how we weave, carve and prepare our dance costumes past and present. We proudly invite you to the biggest Over-Water Island Night Show on Rarotonga delivering an electric authentic cultural performance like no other... Set in luscious rock waterfall garden features, the Village houses the most stunning entertainment venue showcasing a beautiful legend story, “The Legend of Tongaiti”. Family Pass for our Spectacular Over-Water Night Show & Buffet Dinner $290 – includes 2 adults and up to 3 children. Grab a family pass for our spectacular Over-Water Night Show & Buffet Dinner or Combo Extravaganza. Where you become one with us! Te Vara Nui Village is without a doubt the best venue on Rarotonga with beautiful cascades and tropical volcanic rock gardens surrounding small islands over a lake. We ensure you and your loved ones will remember this day forever and leave breathless. Hold your next function at beautiful Te Vara Nui Village. Our restaurants caters for 20 to 250 seated guests and up to 300 for cocktails, with breathtaking views from every seat. Kia Orana and welcome to ‘Weddings Rarotonga by Te Vara Nui’. You have said “Yes” now let us take care of the rest! 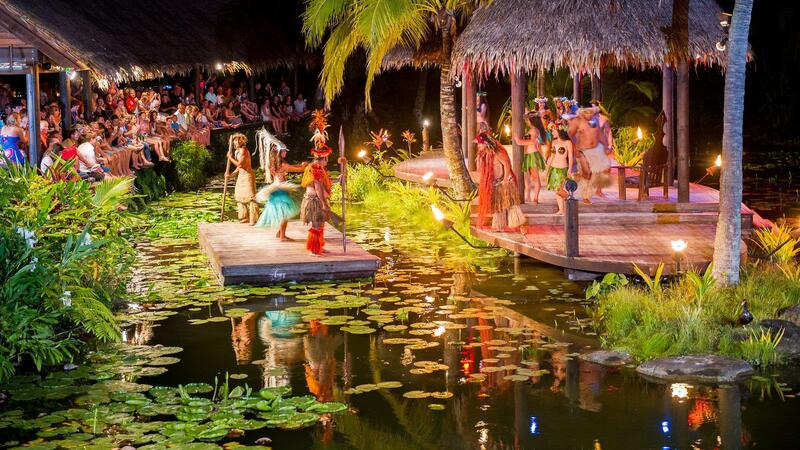 Described by many as “world class”, Rarotonga’s finest dancers and musicians perform to ‘The Legend of Tongaiti’ by flaming torchlight on floating and fixed stages of our waterfall garden. 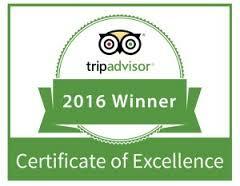 We are proud Winners of Air New Zealand Supreme Tourism Industry Award & Tourism Attractions Award 2016 / 2017. This compelling story is of a voyaging warrior named Tongaiti who, with his family, goes in search of new land to call home. A story of pride, love and celebration. Our greeting “Kia Orana” or “may you live on” reflects the beauty not only of our islands but also of our Cook Islands people who will share their stories, knowledge and heritage with you during the Cultural Village Tour. Combine the authentic Village Tour with the Spectacular Over-Water Show and Buffet Dinner to what is, the ultimate Cook Islands cultural experience on a 5 hour journey. Includes complimentary return transfers, glass of bubbles on arrival and a shell l’ei. Impressions From Our Delighted Audiences! Absolutely amazing and highly recommended to everyone! Great food, great service and the show itself was world class - thanks to the staff for a great night out! I was so impressed with the high standard of the facilities and the amazing array of food; highlight of our trip! Well established, entertaining and tasty! Amazing experience. Very professional, well organised, talented dancers and drummers. The food was exceptional. Well worth a visit.